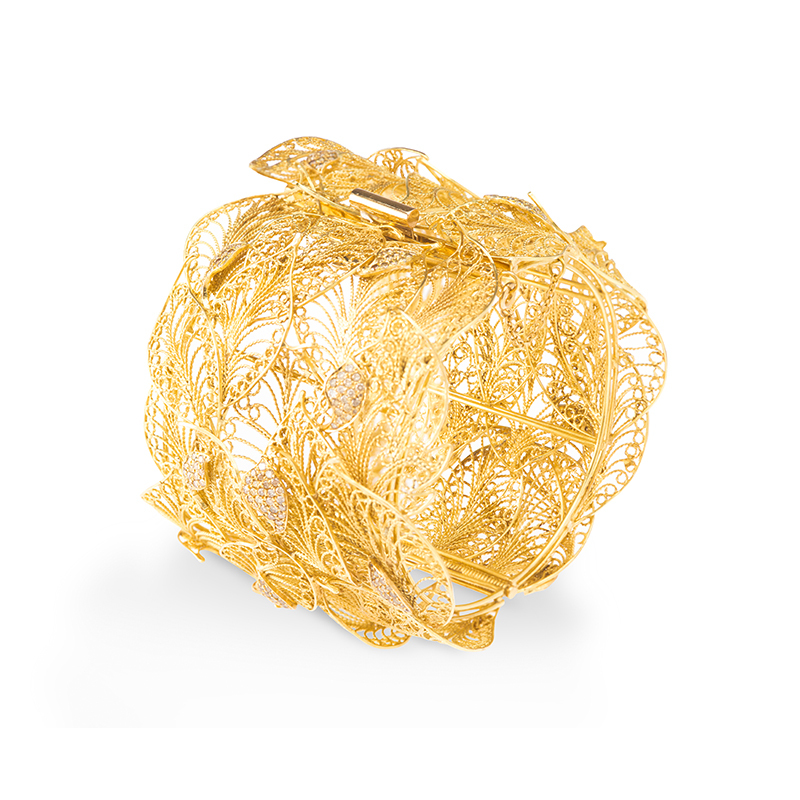 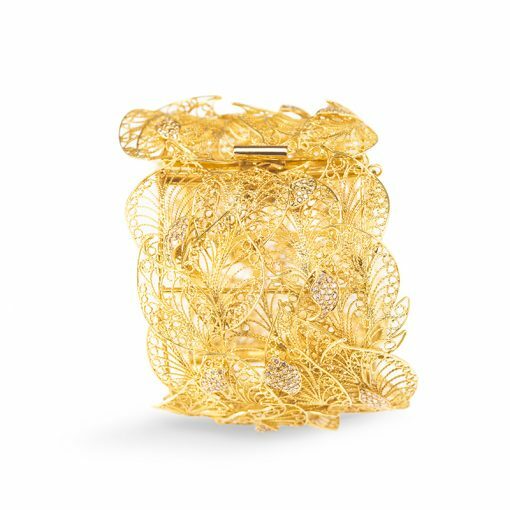 The FOLIA cuff is an exceptional artwork that, an evidence of the Cristiano Pierazzuoli’s skill and artistry. 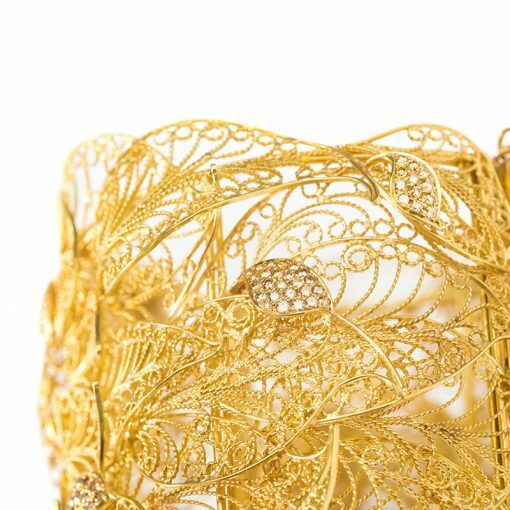 Totally handcrafted, Cristiano has manipulated 18kt yellow gold wire into delicate overlaying filigree leaf shapes that are highlighted with 4.32ct glimmering brown diamonds. 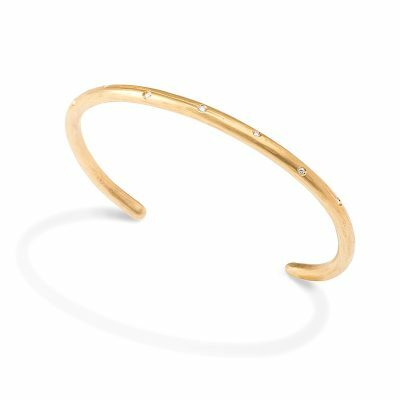 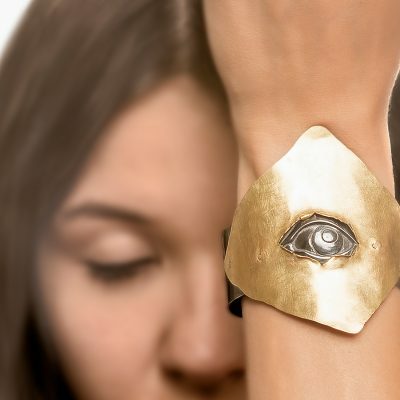 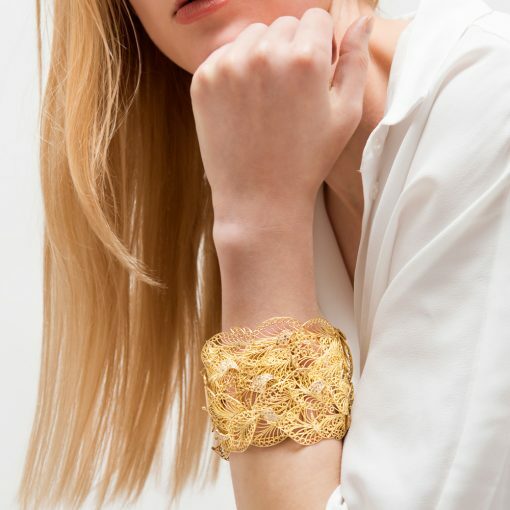 Mounted on a hinged and rigid 18kt yellow gold frame, this elegant and intricate cuff wraps around the wrist and fastens securely with a clasp. 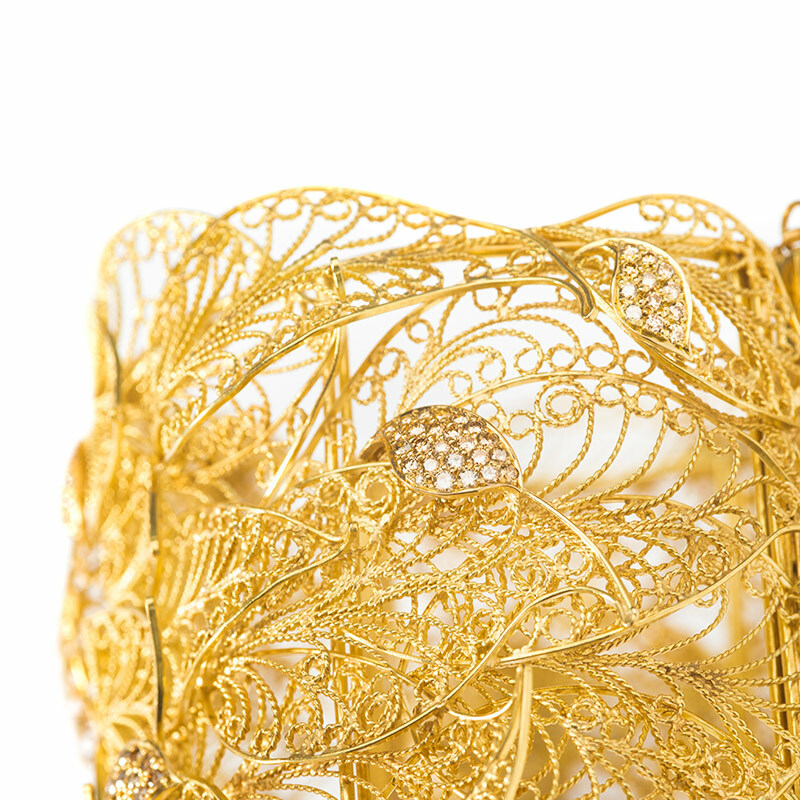 Folia took 3 months of dedicated work by Cristiano Pierazzuoli to complete.